A former Chief Justice of Nigeria, Justice Mohammed Lawal Uwais, is not happy with the way the National Judicial Council treated the retired President of the Court of Appeal, Justice Isa Ayo Salami. In Uwais view, the former appeal court president was treated unfairly in the way and manner, he (Salami) was suspended. Uwais made his position known on Wednesday at the presentation of a book in honour of Justice Salami to mark his retirement from the judiciary after 45 years of service, in Abuja. 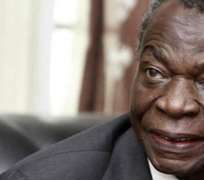 He said, 'Who has the power to suspend Justice Salami from office? Is it the NJC or the President of the Federal Republic of Nigeria? These questions have been the subject of debate by the press, lawyers and the general public. Sometime in April, 2011 I expressed my opinion on the issue in answer to a question by the media in Lagos. Let me now expatiate what informed my answer, that it is the NJC that is vested with power to suspend a judicial officer ( a judge that is) for misconduct, as a disciplinary measure, and not the President of the Federal Republic of Nigeria. 'It is to be noted that these provisions are specifically talking about the powers of the NJC and not the power of the President. Suspension from office is an act of discipline. Delivering a key note address on the occassion, Prof. Wole Soyinka praised the jurist saying the stared authority in the face and dispensed justice without fear or favour. He added that it is not only disappointing, but an international embarrassment for all the lecturers in the nation to be on strike. The book reviewer, Prof. Ademola Popoola, former Dean of the Law Faculty of Obafemi Awolowo University, Ile-Ife, Osun State, also paid glowing tribute to Justice Salami whom he described as a man of great courage, integrity and impeccable character. The Book; 'Isa Ayo Salami: Through Life And Justice', was edited by Funmi Quadri in honour of the retiring jurist and was unveiled at the event by former CJN, Mohammed Uwais alongside another former CJN, Justice Idris Kutigi with support from Justice Bulkachuwa, the Acting President of the Court of Appeal. Salami himself said that he had no regrets for all he did that led to his controversial suspension, adding that he has been vindicated by the reports of all the panels set up to investigate him which reported that he had no case to answer.